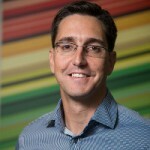 Dr Francois Bonnici originally trained as a doctor in South Africa, graduating top of his class at the University of Cape Town’s medical school. He subsequently read for a Masters degree in Public Health (London) and a MBA on a Rhodes Scholarship at the University of Oxford’s Said Business School, where he was awarded the prize for the best overall MBA student. He was then recognised as a Global Leadership Fellow of the World Economic Forum based in Geneva, where he undertook a three-year mid-career academic and personal development programme, culminating in a Masters in Global Leadership conferred by the World Economic Forum. He later became the Head of Africa for the Forum’s own foundation, the Schwab Foundation for Social Entrepreneurship, where he still acts as Senior Advisor. He assisted the University of Cape Town’s Graduate School of Business to envision and establish a new centre for social innovation, where he has started as the Director of the Bertha Centre for Social Innovation and Entrepreneurship from the end of 2011. He has worked in paediatric clinical medicine; led humanitarian and development programmes; built and worked on public-private partnerships on a global and national level; managed development funding; and consulted to UN institutions, country governments, for-profit social businesses, and non-profit social ventures. He has published in health and development and was the Contributing Editor to the MIT journal’s special edition on "Social Innovation in a Post Crisis World", launched at the Annual Meeting in Davos, Switzerland in 2010.